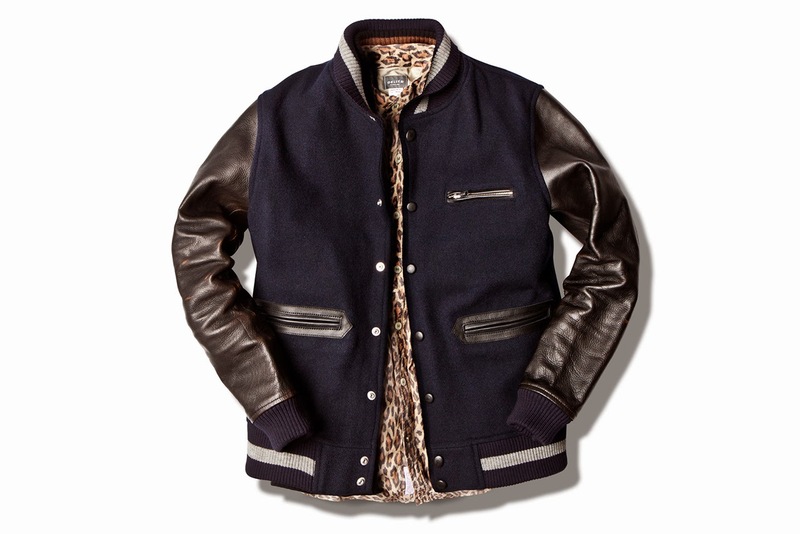 Mr Bru Cru: Deluxe - Varsity Jacket. I'm not a fan of leather jackets. I've actually never owned one. I wouldn't mind, it would just have to be the "right" one. This isn't all leather but it's PERFECT. The "Deluxe" Varsity Jacket is what I have my eyes on. Brown leather sleeves with the ribbed cuffs and some sort of leopard interior makes it ideal for what I'm looking for in a jacket. Only thing wrong is the price tag. Their jackets range and the lowest I've seen is about $250. So I can't wait to see the price on this one (sarcasm). Anyway, it's still a very nice looking jacket. I'll keep my eyes peeled for it.